Stephen H. Hagler, LLC is the law firm you can trust when it comes to social security benefits and family law matters in Waynesboro. Our office is staffed with a reputable attorney and a team of dedicated legal assistants who work hard to obtain the most favorable outcome in social security and family law cases, including divorce, child custody and estate planning. Whether you are trying to get social security disability, probating a will or battling child custody in a divorce, we understand what an emotional and stressful time this can be for you and your family. At Stephen H. Hagler, LLC, we will guide you through the entire process and be your advocate going forward. 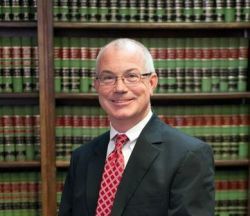 For over 31 years, Attorney Steve Hagler has served the surrounding communities with his distinguished skill and training in the laws that pertain to the Social Security System. If you need help in Waynesboro regarding social security benefits, you can trust that Steve Hagler understands how to successfully petition for Social Security Disability (SSD) and Social Security Supplemental income (SSI) in Georgia. We believe that part of representing a case well is getting to know our clients and their unique situation. When you choose our law firm, we begin preparation right away so that we can fight successfully for you in a court hearing. Attorney Stephen Hagler and two of our experienced legal assistance will be by your side to ensure you obtain the best possible outcome in your social security or family law case. At the law office of Stephen Hagler in Waynesboro, we realize it is not always convenient to come to us. To ensure that you can still take advantage of our top quality legal support, our law firm will come to you. To schedule a free, no-obligation consultation with a dependable and highly experienced lawyer in Waynesboro, contact Stephen H. Hagler, LLC today.